The second full-length from Fancey, which is led by the New Pornographers’ guitarist, Todd Fancey, and features the talents of fellow Pornstar Kurt Dahle on drums. 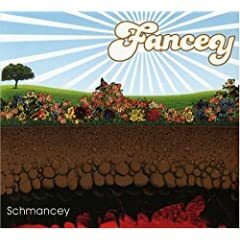 Fancey is highly influenced by 1970s “soft-rock” and the resulting sound is one that is very poppy, upbeat, and sunny. I think that I enjoyed this band’s debut more, but this is still very nice. RIYL Sloan, Zumpano, 70’s rock like Todd Rundgren, Harry Nilsson, Chicago, etc. hey, i wasn’t familiar with fancey before this post. Thanks a bunch for the cool intro. This entry was posted on February 21, 2008 at 9:35 am and filed under TheSlacker. You can follow any responses to this entry through the RSS feed.